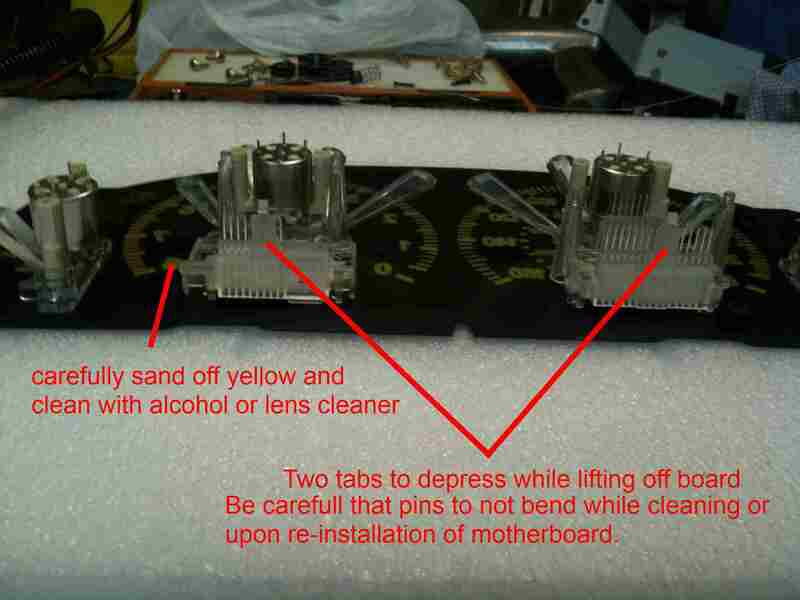 Note: Never, ever remove the gauge needles from the motors! They will break and or be highly difficult to set correctly ! 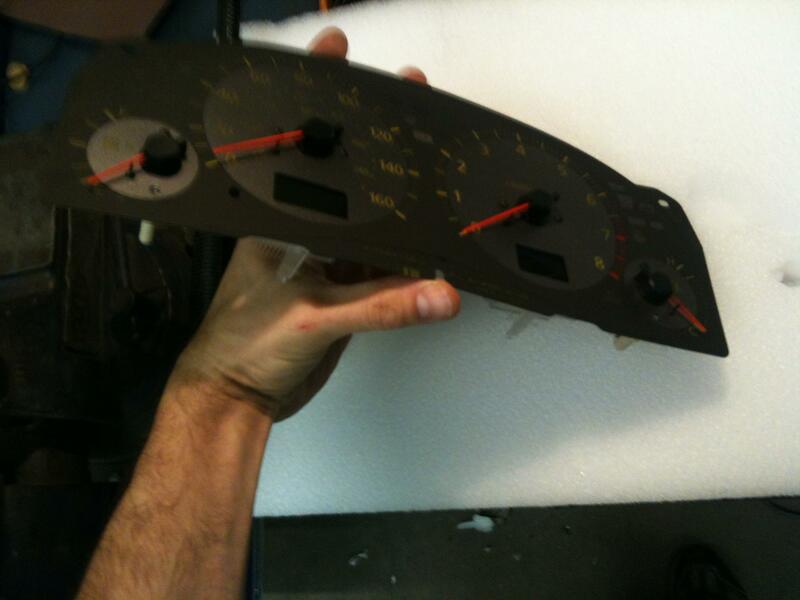 I highly reccommend buying a used gauge cluster set with close to but more miles than on your car so you are not breaking the law and don't risk screwing up your original cluster. 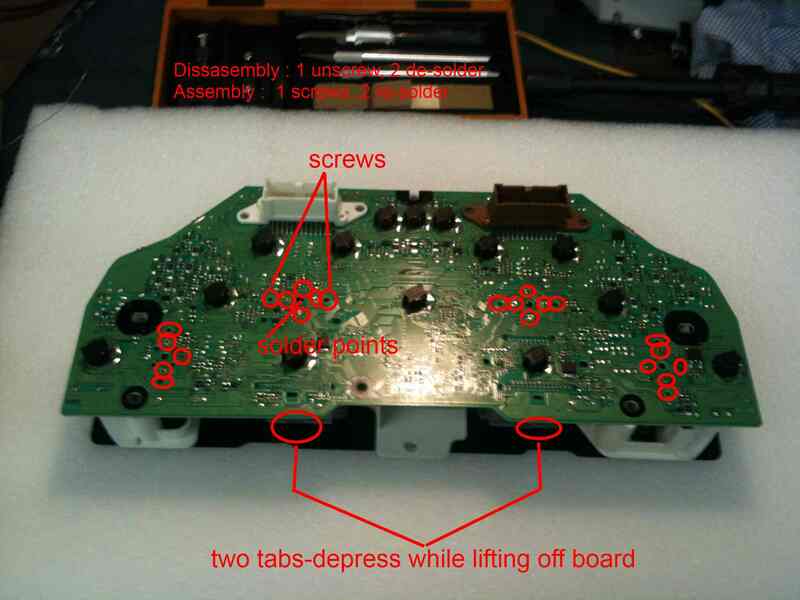 To accomplish this you must remove the gauge face from the cluster assembly with the needles, motors, and light guides all screwed together as one assembly. You have to unscrew and then de-solder using a solder sucker the gauge motors from the back of the cluster circuit board. To get the circuit board/gauges out of the black plastic housing there are six screws behind the gauge face that need to be removed. I very gently pried up on the gauge face and unsrewed them and removed with a telescoping magnet. 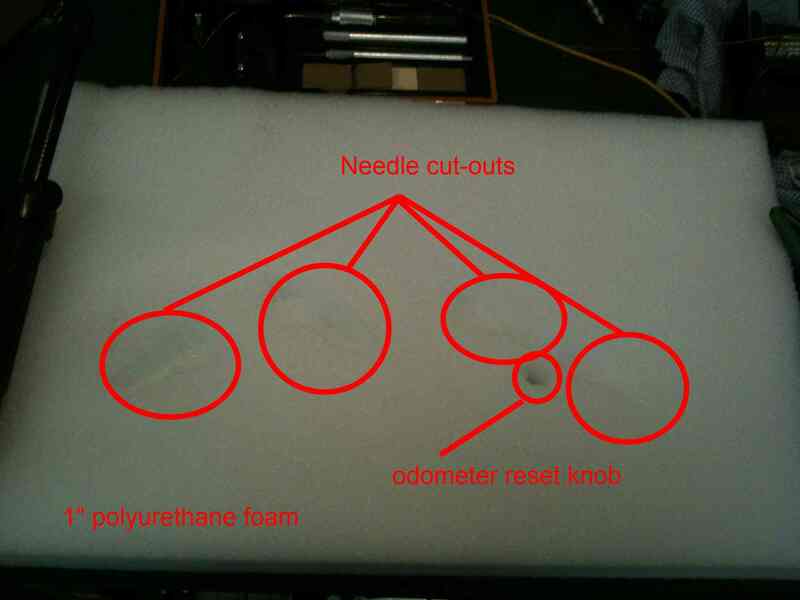 The top four are easy but the bottom two you have to remove the lower screws below the needles temporaily and hold the needle pointing up while you lift the gauge face. You have be the most careful here or you could break the fuel/temp gauges. Re-install the lower gauge screws after you get the lower housing screws out. I used a large piece of polyurethane foam that I cut out spots for the needles and odomoter reset **** to sit into so I could have a flat surface for the gauge face to safely sit in while I sanded. Clean the area your sanding periodically and check the front of the gauges with a light behind them to see if you got all the oarnge off. I used a reading glass lens cleaner which seemed to work well and dry fast. Make sure you do not sand off the turn signal paint, I also recommend using painters tape in the areas to not be sanded. Be careful during re-assebly to line the pins up correctly on the lcd screens and be careful to not bump /snag the needles on anything . * posts says NOT to remove needles from gauges. 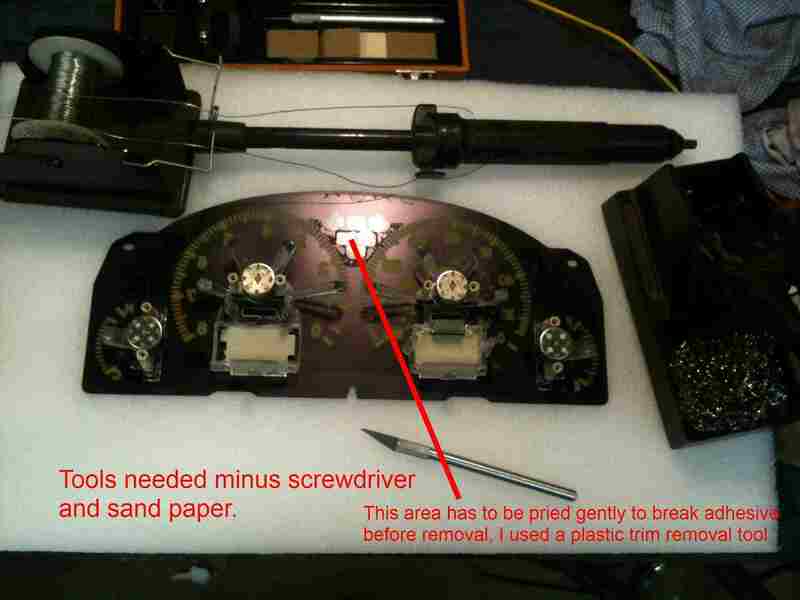 if so that means you have to drill through the cluster faceplate to get to the screws that secure the faceplate to its chasis? not sure if those holes were already there on your cluster, but mine does not have those holes in the face gauge. He hasn't logged in in over a year, so I wouldn't hold out too much hope for a response. Hopefully someone can chime in though!